Although recent media attention has been centered on biotech multinational Monsanto’s aggression in silencing critics of its GMO crops, bovine growth hormone and pesticides, this has unfortunately resulted in other biotech companies being able to more quietly commit similar offenses. 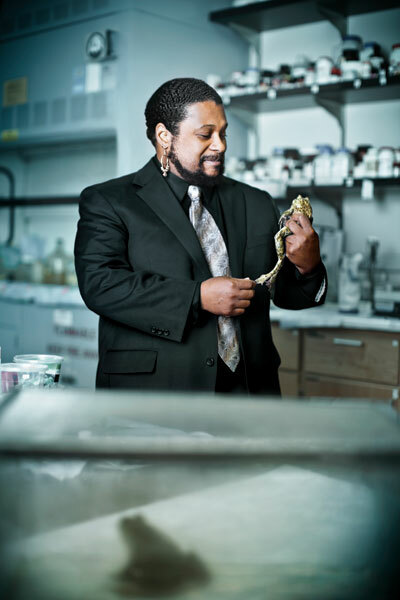 When Tyrone Hayes, biologist and Professor of Integrative Biology at the University of California Berkley, was hired to conduct research on the possible harmful effects of the herbicide atrazine for the Sweedish biotech multinational, Syngenta, what he did not expect was to be silenced and threatened when the results discovered were not conducive for business. Through his research Hayes discovered that atrazine had a negative effect as an endocrine disrupter causing developing male African clawed and leopard frogs to turn into females and develop eggs. Atrazine proved to completely reverse the development of the male reproductive organs. Later studies conducted by unrelated scientists proved that this same effect was also found in mammals. After realizing the seriousness of the extent to which Syngenta would go to silence him, Hayes decided to turn to the institution he was working for, the University of California Berkley, for help. Unfortunately, as Syngenta was one of the highest contributing donors to the biology department at the time, the university lawyers turned a cold shoulder and insisted it was not their problem. Where Hayes should have been promptly protected by the university he was working for, he was abandoned to deal with the serious threats and slanders orchestrated by Syngenta entirely on his own. A class action lawsuit against Syngenta regarding water contamination later revealed internal documents confirming that Hayes was being directly stalked and targeted by the company. Since these findings, Hayes has regained his credibility and continues to spread awareness on the harmful effects of atrazine on the reproductive systems of amphibians and mammals. Hayes, T. (n.d.). Silencing the Scientist – Tyrone Hayes on Being Targeted by Herbicide Firm Syngenta. DemocracyNow!. Febuary 21, 2014. “Court-released documents: Exhibit 19, part1” (PDF). Source Watch. Center for Media and Democracy. Retrieved February 7, 2014. Hayes TB, Collins A, Lee M et al. (April 2002). “Hermaphroditic, demasculinized frogs after exposure to the herbicide atrazine at low ecologically relevant doses”. Proc. Natl. Acad. Sci. USA. 99 (8): 5476-80.